The feature length horror anthology film CREEPERS picked up 12 awards at ZED FEST film festival in Burbank, Ca. The anthology feature won 2 awards, one for outstanding anthology and one for outstanding producer, Mike T. Lyddon. 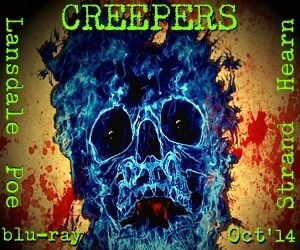 CREEPERS is now available as a limited edition, hand numbered BLU-RAY you can order on the OFFICIAL WEBSITE or AMAZON.